Lijiang rests in a valley guarded by the formidable Himalayas. 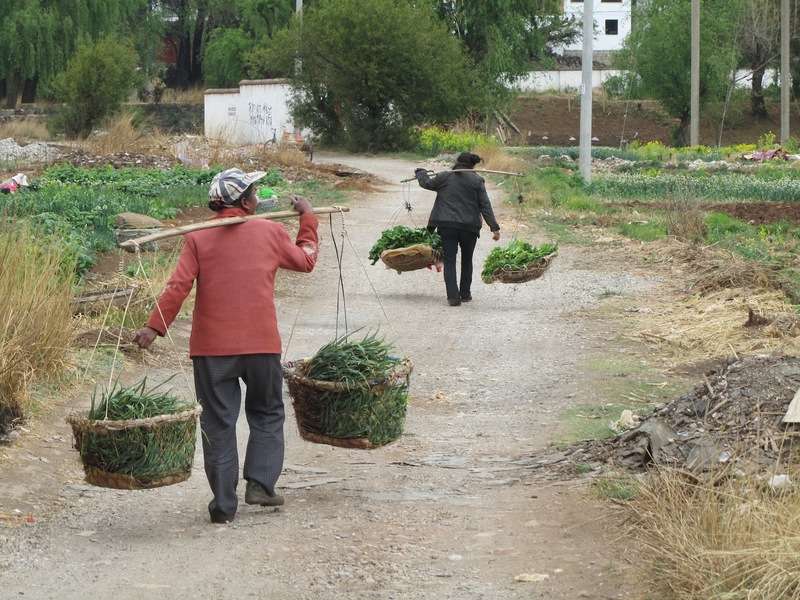 I arrived in Lijiang by train, eight hours from the eclectic riot of Kunming. I opted for a “soft chair,” around 12 U.S. dollars, and found myself squeezed on a hard blue hospital cot between three other passengers. Across a narrow divide, another cot, another four passengers. Thus it was, eight wearied strangers bundled together and winding through the hills and valleys of Yunnan. The China covered by the mainstream news channels often fastens upon the dynamic modernization transforming the eastern seaboard, from Hong Kong and Shenzhen, north to Shanghai and Beijing. Yes, some four hundred million people, roughly the population of the U.S., are solidly middle class, and of these some are excessively rich. 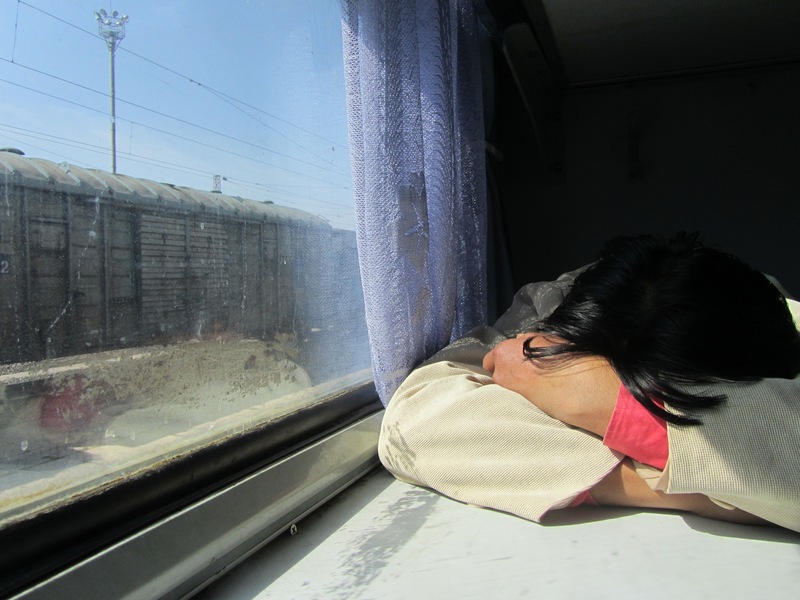 But unlike the U.S., China has another one billion souls to account for, and if you would like to take an intimate survey of how this “other billion” lives, book yourself a ticket on the slow train to Lijiang. Poverty is something easy to forget while living in the sparkling metropolis of Hong Kong. Poverty for many people is not an abstraction, it has features and dimensions. It has a smell, like burlap drenched by sulfuric rains then roasted beneath a martian sun.It has teeth, brown and heavily oxidized. It burrows itself deep into the chest. It hack and rasps, chokes and spits. Poverty seems to always need a good nights sleep. It is a ruiner of youth. 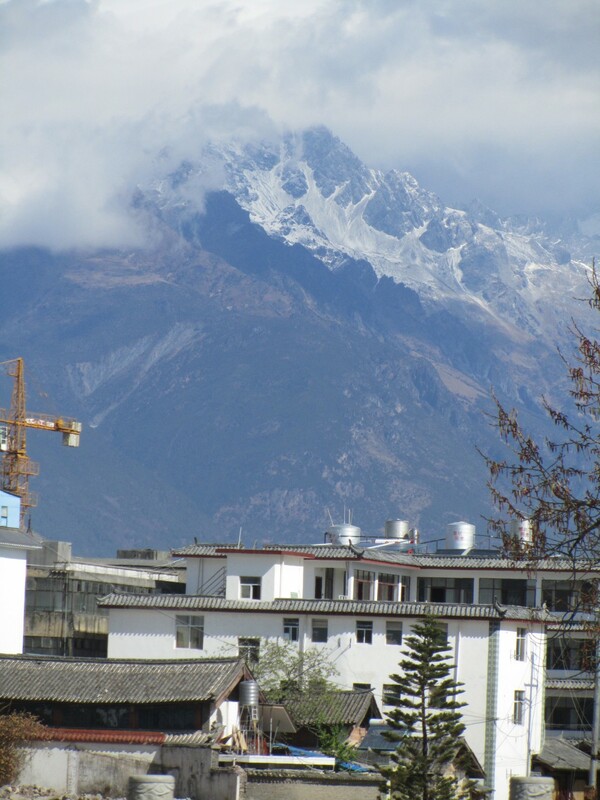 Arrival: advancing upon Lijiang by taxi, I am struck by a chiseled white monster looming surreally above the clouds. Snow mountain, at nearly 18,000 ft., has stifled the ambitions of many a mountaineer. With my three year old’s grasp of Mandarin, it is time to locate the art studio / guest house which will serve as my base of operations for the next six days..